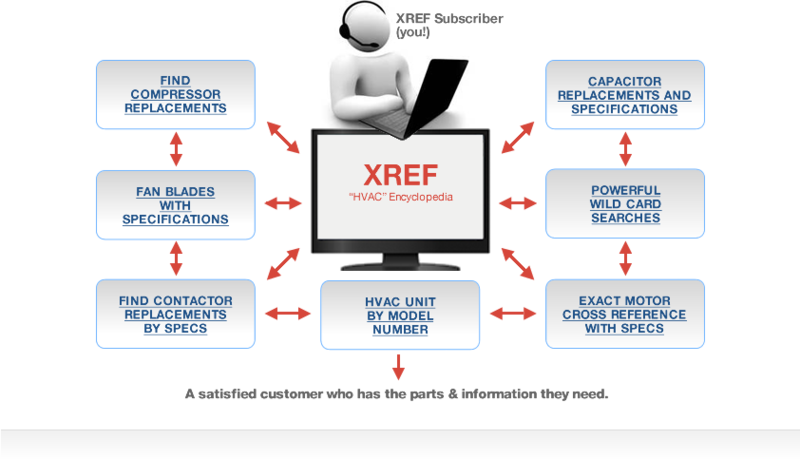 How it works and features | XREF Publishing Co., Inc.
Our database gives subscribers cross-reference access to information on millions of HVAC/R parts, specifications, and suppliers – all in an easy to use, regularly updated format. 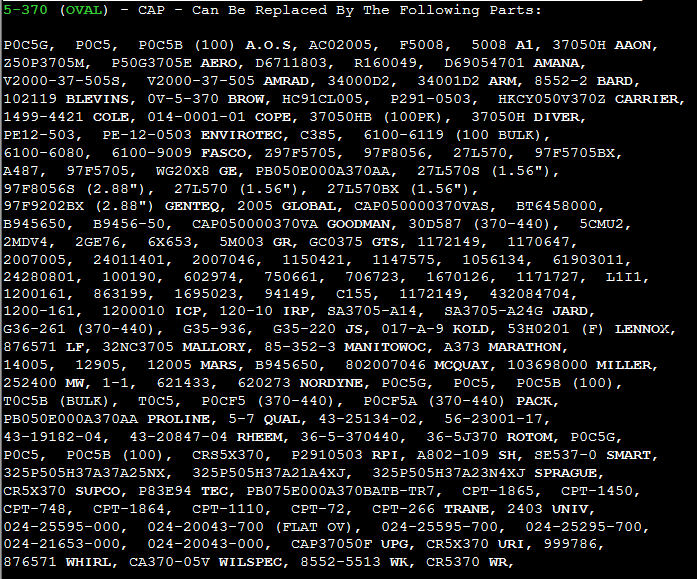 Shown above are 2 of 50 records in the results of your search for a copeland CR38K6-PFV compressor. You will find aftermarket as well as OEM replacements. The first record displays the specifications for CR38K6-PFV. The HVAC database provides information for well over 160,000 equipment model numbers including carrier, Trane, Lennox, Nordyne, Rheem, etc. 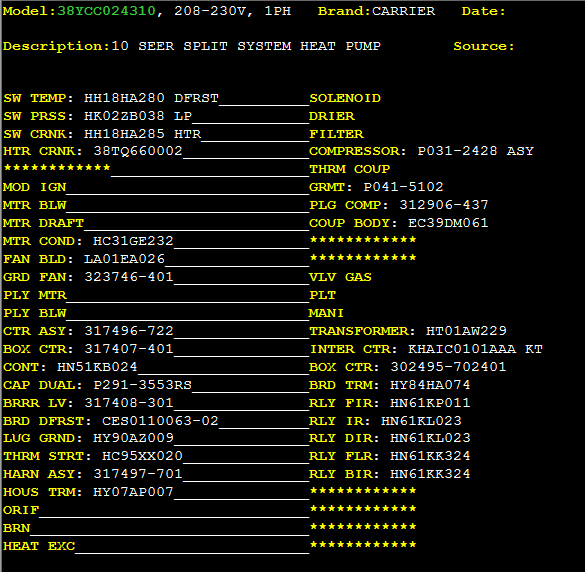 This screen is a partial listing of functional components for the Carrier model 38YCC024310. There are a total of 481 individual records for the 5-370 capacitors in the database. OEM as well as aftermarket part numbers are included. This screen shows the exact replacement record for a 5-370 oval capacitor. Shown above is the record with the exact replacements as well as specifications for the original 60-5589-01 fan blade. Wild card queries can be used anywhere within the XREF databases. 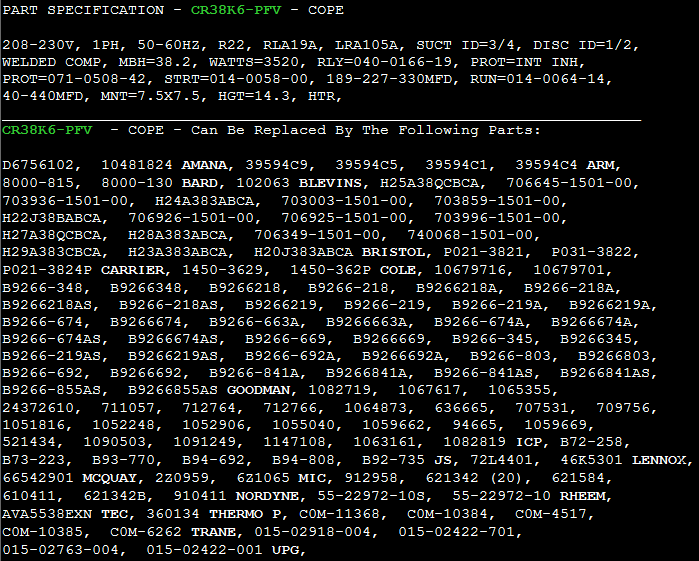 The above query screen shows a wild card search for the incomplete number 5KCP39PG1. 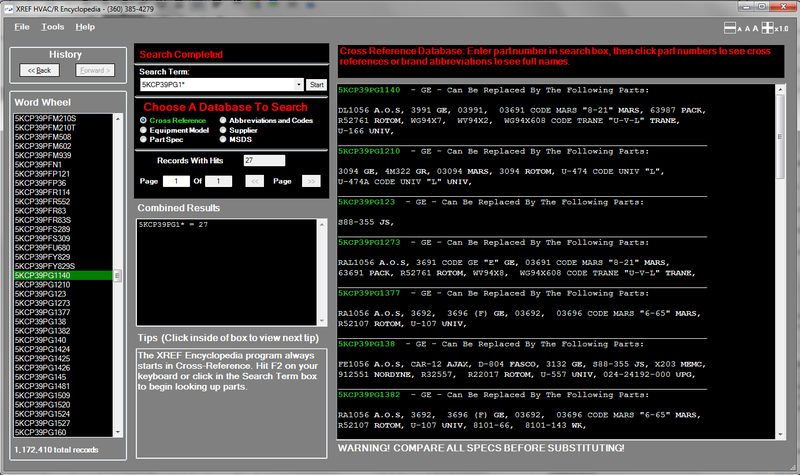 The screen above shows 4 of 27 records found in the search for 5KCP39PG1*. 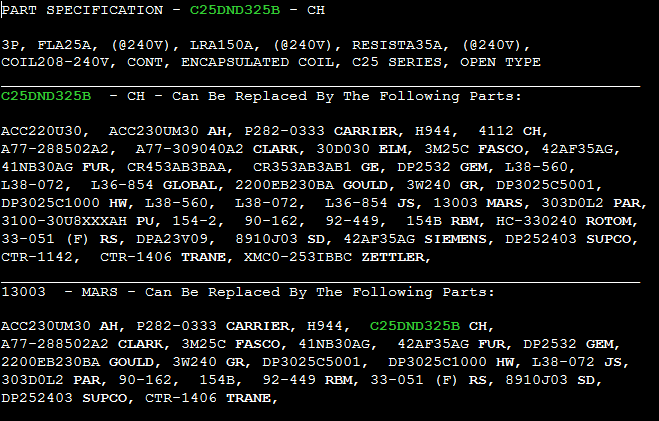 This screen shows 3 of 14 records for C25DND325B. 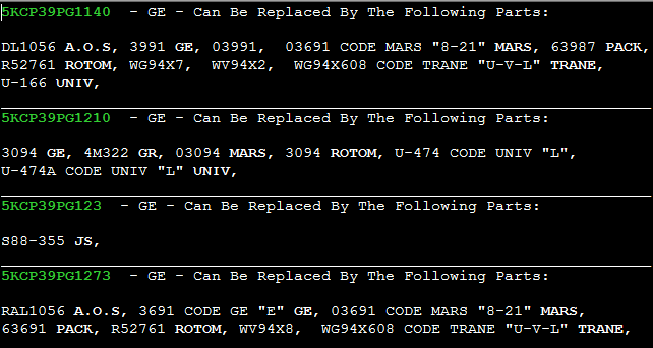 The first record shows the specifications, the second shows exact replacements for the original contactor, the last records reflect some of the cross-referencing information. There are 62 occurrences of X000 within the database. Shown above is the record of exact replacements as well as the specifications for X000.